I am interested in the performance analysis and design of computer systems, particularly distributed systems. I use analytical models to capture the important characteristics of a computer system, and then I prove theorems about these models that allow me to redesign the system to improve its performance. Here "performance" might denote response time, energy use, throughput, capacity, etc. Most of my research involves inventing new analytical techniques in the area of performance analysis, as well as new algorithms for resource allocation. Unlike many theoretical computer scientists, my analysis is based on stochastic (probabilistic) models of computer systems. There is no "adversary" sending us worst-case inputs. By contrast, there is a stream of requests, whose arrival times and service demands come from empirically fitted distributions. These distributions might be correlated, and they often exhibit heavy tailed service demands and high variability. Thousands of "load balancing" heuristics do exactly that -- they aim to balance the load among the existing hosts. But is load balancing necessarily a good thing? Ever notice that the optimal scheduling policy, Shortest-Remaining-Processing-Time-First (SRPT), is rarely used in practice? There's a fear that the big jobs will "starve", or be treated unfairly as compared with Processor-Sharing (PS). But is this a reality? To minimize mean waiting time in a server farm, research suggests that each job should be sent to the server at which it will experience the least wait. That seems good from the job's perspective, but is the greedy strategy best for the system as a whole? Cycle stealing (using another machine's idle cycles to do your work) is a central theme in distributed systems and has been the topic of thousands of papers. But can we quantify when cycle stealing pays off, as a function of switching costs and threshold parameters? Redundancy is the idea of making multiple copies of the same job, where each copy is dispatched to a different queue, and where one only needs to wait for the first copy to complete. When does redundancy help? 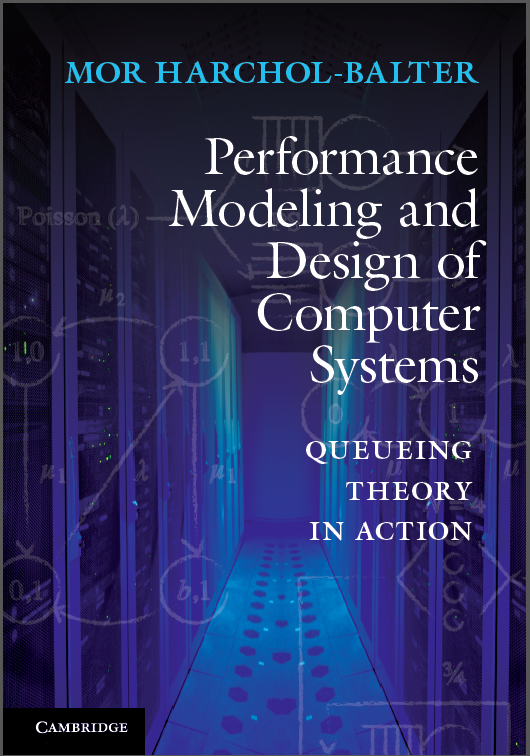 Theoretical work on Algorithms and Analysis: Queueing behavior and stochastic analysis of resource allocation in distributed computer systems. Load sharing policies, routing policies, cycle stealing, replication algorithms, power-efficient policies, threshold policies, and multi-class/multi-server prioritization. Fairness metrics in scheduling. Correlated arrival processes, and analysis under high-variability workloads. Known for ``All-Can-Win Theorem'', demonstrating that scheduling policies which are biased towards favoring small jobs can also be preferable to large jobs. Stochastic Analysis & Queueing Techniques: : Developing new methods for stochastic analysis. Examples include: (i) Recursive Dimensionality Reduction (RDR), a technique that allows one to reduce a Markov chain that grows unboundedly in many dimensions to a Markov chain that grows unboundedly in only one dimension, by using the idea of busy period transitions; (ii) Recursive Renewal Reward (RRR) and Clearing Analysis on Phases (CAP) , techniques that allow one to obtain closed-form solutions for many one-dimensional infinite repeating Markov chains, including the M/M/k with setup chain; (iii) Exact analysis of Replication Systems: the first exact solution (in product-form) for replication systems, involving any number of servers, and number of classes, and any degree of replication. Computer systems implementation: Resource management in data centers and other distributed systems. Implementation of QoS tail latency guarantees for flows in networked storage systems, based on techniques from Deterministic Network Calculus and Stochastic Network Calculus (PriorityMeister and SNC-Meister). Online scheduling of jobs with heterogeneous preferences in data centers with heterogeneous servers (TetriSched). Dynamic power management in multi-tier data centers (AutoScale). Scheduling of Memory Controllers (ATLAS). Pricing and queueing optimizations for cloud services. Kernel-level connection scheduling in Web servers. Solutions for coping with transient overload in Web servers. QoS for e-commerce applications involving the backend database. Prioritization mechanisms for OLTP transactions in database servers. Job scheduling in supercomputing centers. Modeling and Workload characterization: Known for the discovery of Pareto heavy-tailed distribution of UNIX process CPU lifetimes. Statistical characterization of workloads including UNIX processes, web, OLTP, supercomputing, memory workloads, and parallel jobs. (2015) ISCA Tutorial & ICDCS Keynote: What Queueing Theory Teaches Us about Computer Systems Design: talk slides and abstract . (2014) GreenMetrics Keynote: Power Management in Data Centers: Theory & Practice: talk slides and abstract . (2009) Surprising Results on Task Assignment for High-Variability Workloads: talk slides and abstract . (2007) ORSIS '07 Keynote, Lunteren '07 Keynote, MASCOTS '08 Keynote, SIPEW '08 Keynote: Scheduling in Server Farms: talk slides and abstract . (2006) Analysis of Cycle Stealing and Priority Queueing in Multi-Server Systems via Dimensionality Reduction Technique: talk slides and abstract . (2005) Scheduling Your Network Connections: the SYNC project talk slides and abstract . (2006) Open Workload Generators versus Closed: A cautionary tale Adam's talk slides and abstract . (2004) What Analytical Performance Modeling Teaches Us About Computer System Design talk slides and abstract . Sherwin Doroudi Assistant Professor at U. Minnesota, ISyE. Link to Sherwin's thesis . Winner 2016 William W. Cooper Doctoral Dissertation Award in Management or Management Science. Anshul Gandhi Assistant Professor at SUNY Stony Brook, Computer Science Department. Link to Anshul's thesis . Winner SPEC Dissertation Award. Kristy Gardner Assistant Professor at Amherst College, Computer Science Department. Link to Kristy's thesis . Varun Gupta Assistant Professor at University of Chicago, Booth School of Business. Link to Varun's thesis . Takayuki Osogami Researcher at IBM-TRL. Link to Taka's thesis . David McWherter Researcher at Google, Seattle. Link to David's thesis . Bianca Schroeder Associate Professor at University of Toronto, Computer Science. Link to Bianca's thesis . Adam Wierman Full Professor at Caltech, Computer Science. Link to Adam's thesis . 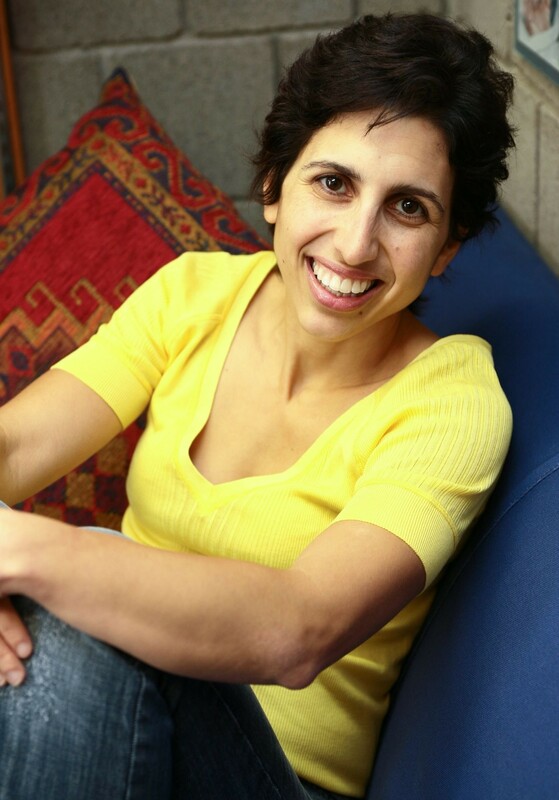 Winner of 2007 SCS Distinguished Dissertation Award. Timothy Zhu Assistant Professor at Penn State University, Computer Science Department. GENERAL CHAIR ACM Sigmetrics 2013 . TPC co-CHAIR ACM Sigmetrics 2007 . TCP co-CHAIR QEST 2007 . CanQueue 2016, ACM SIGMETRICS 2016, ICDCS 2015, GreenMetrics 2014, MASCOTS 2008, SIPEW 2008, Lunteren Conference 2007, ORSIS 2007. ANNUAL TALK on Applying to Ph.D. Programs in Computer Science (pdf) .